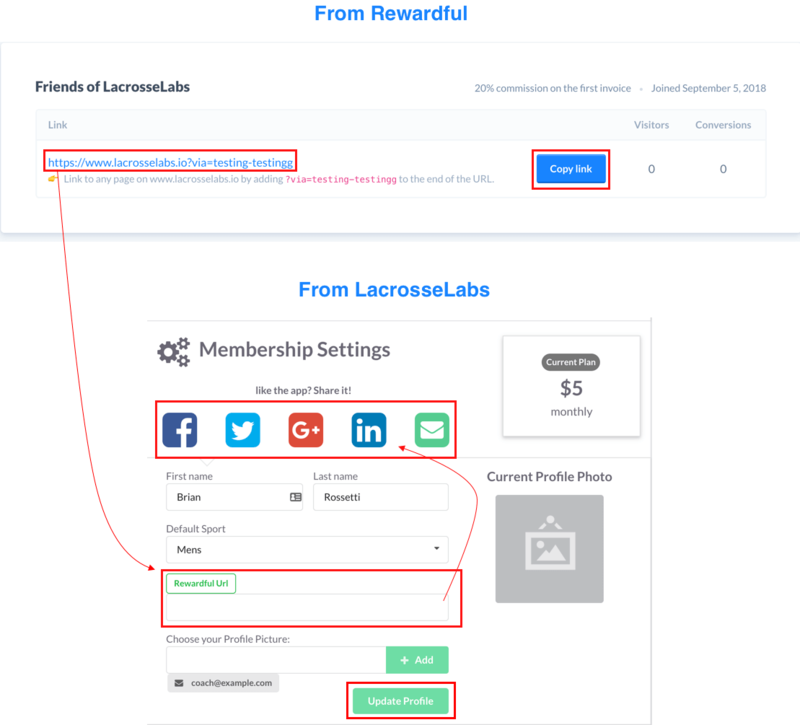 You dont even have to be a LacrosseLabs member. Share your Rewardful referral link with your friends and fellow coaches. Referral commissions are dispersed at the end of each month (invoice period). *Sign into your Rewardful account to see your bonuses. Your social icons will contain your Rewardful referral link.